If you have been prescribed the anti-coagulant (blood thinning) drug, warfarin — which is sold under a number of brand names, including Jantoven, Marevan, Uniwarfin, Lawarin and Waran — you must carefully avoid all supplements containing vitamin K, particularly in the form of vitamin K2. 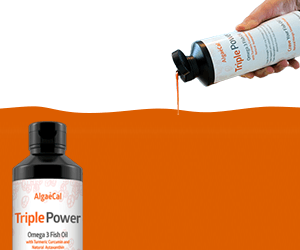 If you are looking for a supplement without vitamin K for bone health, try AlgaeCal Basic. Even your consumption of foods rich in vitamin K1, such as leafy green vegetables, must be carefully monitored and restricted when taking warfarin. Here’s why. 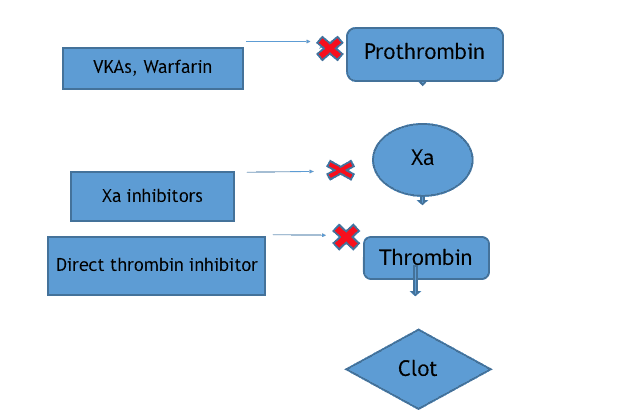 Warfarin works by blocking the activity of an enzyme called vitamin K epoxide reductase (VKOR). This is the enzyme that recycles vitamin K after it has been used to activate the vitamin K-dependent proteins (both the blood clotting proteins our bodies prefer to activate using vitamin K1, and the proteins that regulate where calcium is deposited in the body, which are activated by K2). The VKOR enzyme adds electrons back to the used (oxidized) forms of vitamin K1 or K2, so they are able to go to work again. Warfarin blocks the VKOR enzyme, preventing vitamin K, once used, from being recycled, which greatly reduces the amount of available vitamin K. Plus, to lessen their risk of excessive blood clot formation, people on warfarin are told to not introduce much vitamin K into their bodies, even by eating foods rich in vitamin K, so their vitamin K supplies are already low. Warfarin then eliminates the body’s ability to recycle the tiny amount of vitamin K that is present. The problem with this is that while the warfarin drugs lower risk of excessive blood clot formation by preventing vitamin K’s activation of certain blood clotting proteins, these drugs also prevent vitamin K (in both its forms as vitamin K1 and vitamin K2), from doing its other jobs. Not getting these vitamin K-dependent jobs done causes serious harm to your blood vessels, kidneys and bones. Vitamin K1 is highly anti-inflammatory, which is one reason eating lots of leafy greens helps protect our cardiovascular system and kidneys from damage caused by oxidative stress (out of control free radicals), and our bones from osteopenia/osteoporosis due to excessive osteoclast activity (anything that causes chronic inflammation results in over-activation of osteoclasts and promotes bone loss). If you are taking warfarin, minimizing your risk of a brain bleed is one of the reasons it is so important to monitor the rate at which your blood clots (your INR, explained next) to ensure you are not taking too high a dose of these drugs. Doctors’ check how high a dose of warfarin is needed to prevent the amount of available vitamin K from increasing by looking at the patient’s INR. INR stands for international normalized ratio, which is a measure of how long it takes prothrombin, one of the blood clotting enzymes activated by vitamin K1, to activate and form a clot. The target INR level varies from individual to individual. It’s 2–3 in most conditions, but may be 2.5-3.5 or even as high as 3.0-4.5, for example, in patients with mechanical heart valves. If upon testing, the INR is higher than the prescribing physician has determined is optimal for the specific patient, this means that it is taking too long for blood to clot and increasing the risk of a bleed, so the dose of warfarin (which prevents clot formation by preventing vitamin K recycling) will be lowered. If the INR is too low, this means the tendency to form a clot is still elevated, so the dose of warfarin will be increased. An INR that is too high indicates increased risk of excessive bleeding due to impaired (in this case, by warfarin) ability to produce the blood clots needed to prevent you from bleeding to death from even a tiny cut. An INR that is too low indicates the potential for excessive blood clot formation. When a patient’s INR is high, the doctor will lower the dose of warfarin to protect against a bleed. When the patient’s INR is too low, the doctor will increase the dose of warfarin to protect against excessive clot formation. The key factor for those taking warfarin is maintaining a stable intake of vitamin K against which the appropriate dose of warfarin can be determined, and this requires frequent monitoring of the individual’s INR. 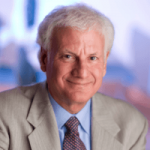 Research conducted back in 2007 had shown that vitamin K1 only affects the INR at a dose of 315 micrograms per day, and at this dose, vitamin K1 causes only a small decrease in INR — from 2.0 to 1.5. So, even those taking warfarin can eat some leafy green vegetables if their INR is frequently checked by their physician, so their dose can be adjusted accordingly. The f oods rich enough in vitamin K1 to significantly decrease a person’s INR are the leafy greens along with a few unrefined, unhydrogenated oils. You’d have to eat a fair amount of leafy greens to consume 315 micrograms of vitamin K1. If you eat spinach, you can have 2.5 cups, and if you prefer lettuce, you’d have to eat around 5 cups to get 315 micrograms of K1. 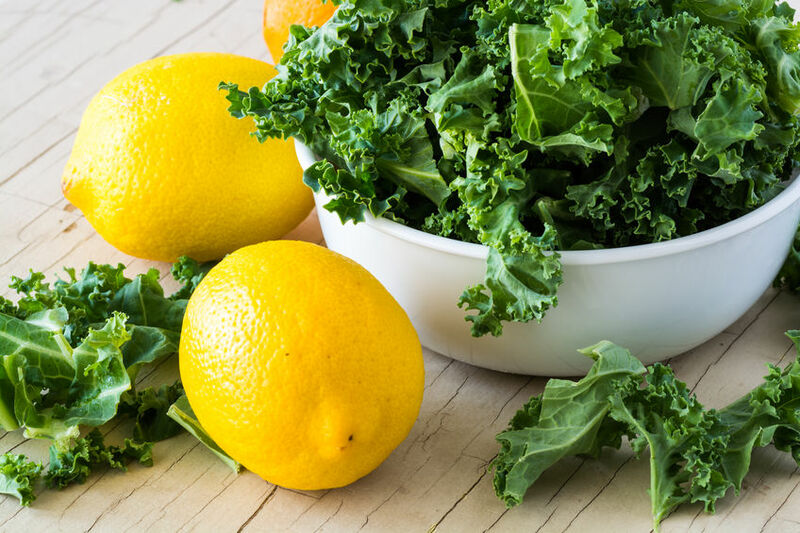 You should not have more than a half-cup of kale; one cup will give you 547 micrograms, but kale delivers the most vitamin K1 of all the leafy greens. Oils are not a problem for people on warfarin. Even unrefined oils provide very little K1: a tablespoon of soybean oil will give you just 25 micrograms, canola oil only 17 micrograms and olive oil just 8 micrograms. When researchers looked at the effect of MK-7 on INR, MK-7 was found to be much more potent than K1 or the MK-4 form of vitamin K2. In the initial research published in 2007, it only took 130 micrograms per day of MK-7 to cause a drop in INR from 2.0 to 1.5, so a dose of no more than 50 micrograms per day, which only caused a 10% drop in INR, was thought to be safe for patients on warfarin. MK-7 supplements are sold in a dose as low as 45 micrograms, and in the Netherlands (where the leading vitamin K researchers in the world conducted this research), they eat a lot of cheese, so it’s not unusual to consume this much MK-7 and other longer-chain menaquinones in the diet. A 50 microgram dose is comparable to the long-chain menaquinone content of 75 to 100 grams (about 3 ounces) of the cheeses richest in K2: English blue cheese, Swiss Emmental and Norwegian Jarlsberg. The researchers also hoped that because MK-7 remains active in the body for 3-4 days (as long as 96 hours), if 50 micrograms of MK-7 were consumed daily along with properly adjusted doses of warfarin, the patient’s INR would remain stable within a range that would prevent too much blood clot formation, and risk for heart and blood vessel calcification and bone loss would be lessened. Even very low doses of vitamin K2 are contraindicated if you are taking warfarin. The research revealed that MK-7 in doses as low as 10 – 20 micrograms per day decreased both the INR and the amount of inactive prothrombin (the key blood clotting enzyme whose activity is blocked by warfarin) by 40% in the entire group of 18 patients (yes, this was a small study, but still, not looking good for K2 if you’re taking warfarin). Daily intakes of 10 and 20 micrograms of MK-7 were found to lower the INR in at least 40% and 60% of subjects, respectively, and to significantly increase blood clot formation by 20% and 30%, respectively. And, even worse, these tiny doses of MK-7 had no beneficial effect on increasing activation of matrix Gla protein, which was what they measured because this is the vitamin K-dependent protein that prevents calcium from depositing in blood vessels. Virtually all the MK-7 got side-tracked to activate blood clotting proteins /prothrombin. Obviously, you must work with your doctor if you decide this is worth investigating. 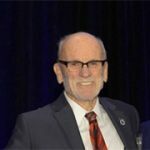 Research presented at the American Stroke Association’s International Stroke Conference in New Orleans, February 5, 2012, showed that aspirin is just as effective as warfarin for heart failure patients. This study, which involved 2,305 heart failure patients, found no overall difference in risk of death or for either form of stroke (intracranial hemorrhage or ischemic stroke) between those who received aspirin and those who received warfarin. Researchers also noted warfarin had a higher risk of causing major bleeding events. 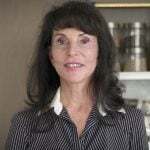 Aspirin similar to warfarin in stroke prevention, article available at http://news.nurse.com/article/20120205/NATIONAL02/102130013, accessed 3-210-16. New drugs have become available that prevent clot formation in a different way than the warfarin drugs, and vitamin K1 and K2 can be taken when using these drugs. You won’t need to avoid leafy greens or supplemental vitamin K2 if you can be switched over to either of two new types of anticoagulant drugs: Factor Xa inhibitors (e.g., rivaroxaban, apixaban) or the direct thrombin inhibitor, dabigatran. The warfarin drugs are also called Vitamin K Antagonists because they prevent clot formation by preventing the recycling of vitamin K and thus causing a severe drop in vitamin K availability. This prevents clot formation because vitamin K is required for the production of prothrombin and several other enzymes involved in the initiation (beginning) phase of the clotting cascade, but it also prevents activation of all the vitamin K-dependent proteins, including osteocalcin and matrix Gla protein. The Factor Xa inhibitors prevent blood clot formation by blocking the activity of Factor Xa, an enzyme involved in the later stages of blood clot formation, so vitamin K does not lessen their anticlotting effects. The direct thrombin inhibitors, as their name implies, bind to already formed thrombin, another enzyme even further down the line of actions required for blood clot formation, and directly block its clot-forming actions. So, again, vitamin K has no impact on their anti-clotting effects. And these new drugs are more convenient to use. The Factor Xa and direct thrombin inhibitors do not require INR monitoring and need only be taken once daily. If you are taking warfarin, you cannot take supplemental K2. If you are taking one of the newer anti-coagulants, you can take supplemental K2. If you are taking warfarin, the rate at which your blood clots (your INR) must be checked by your physician to balance your intake of vitamin K, even the vitamin K1 in leafy green vegetables, with your required drug dose. You will not benefit from vitamin K2; even taken at a dose too low to benefit your bones, it will disrupt your INR causing you to need a higher dose of warfarin, which will then block vitamin K recycling, preventing vitamin K2 from activating the vitamin K-dependent proteins so important for healthy bones, osteocalcin and matrix Gla protein. 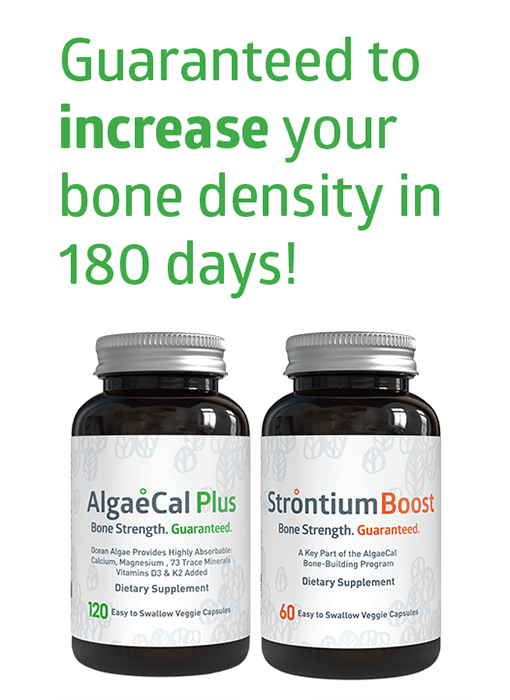 AlgaeCal has two bone-building formulations: AlgaeCal Basic, which does not contain vitamin K (for those who are on warfarin and are unable to switch to one of the newer anticoagulants and AlgaeCal Plus, which contains Vitamin K2 and has been clinically proven to increase bone density. Find out more here. Cranenburg EC, Schurgers LJ, Vermeer C. Vitamin K: the coagulation vitamin that became omnipotent. PMID: 17598002Thromb Haemost. 2007 Jul;98(1):120-5. Good question, Renate. It seems that ulcerative colitis has been linked to vitamin K deficiency, so it would be a great idea to discuss vitamin K2 supplementation with your doctor! I’m taking an Antiplatelet medication called Effient ” prasugrel” after having 2 stents put in my heart… Can I take K2 MK-7 with this medication ?? I get conflicting information but believe I can because it’s not Warafin type based anti coagulant. Thanks for reaching out! It appears that Effient (prasugrel) is a blood thinner that uses mechanisms unrelated to vitamin K, and there is no interaction listed between this medication and vitamin K on drugs.com here. In saying that, we definitely recommend confirming the safety of this combination with your doctor or pharmacist! We are very frustrated and feel that we are caught in a catch 22. My mother has been told she has to take it. No other drug will work after getting a mechanical (porcine) heart valve replacement. However, we know that she needs K2 because she had severe calcification. We are extremely frustrated because according to her cardio she can’t take fish oil or tumeric or anything that is supposed to help with her various symtoms/situation (dementia after SCA). Basically all we are doing is preventing a stroke but we’re not helping her get healthier or giving her a chance to have a significant or meaningful cognitive recovery (she suffered brain damage due to SCA after her valve replacement). Do you have any suggestions in this case? Thank you so much for taking the time to share your mothers’ story with us, our heart goes out to her. I have reached out to Lara, and she does have some suggestions, I will send you these in a personal email which you can expect shortly. Having a mechanical heart valve should not prevent you from using one of the newer blood thinners. Since vitamin K2 is critically important for the health of your cardiovascular system as well as your bones, I urge you to discuss switching to one of the newer drugs with your doctor. Please have your blood levels of vitamin D checked. This lab test should be covered by your insurance and will check your levels of 25(OH)D, the form in which vitamin D circulates in your bloodstream. Optimal levels of 25(OH)D for most people are 50-80 ng/mL, although because of your FHH, you may not want to have a level higher than 30 ng/mL — something you need to discuss with your physician. Vitamin D Council recommends taking 5,000 IU of D3 daily for 3 months before testing as most people require this much D3 to get their 25(OH)D into optimal range. You are only taking 1,000 IU/d, which may be adequate given your FFH or may not — get your 25(OH)D level checked to find out. 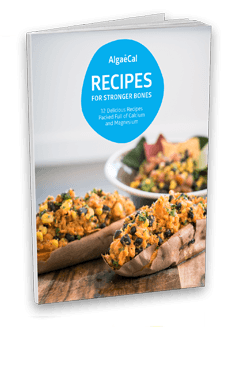 (1) typically, intake of calcium should be twice that of magnesium (keep a food diary for 5-7 days and use the food charts in Your Bones to determine how much of each you are actually getting). Most people want 1,200 mg of calcium and 600 mg of magnesium from food and supplements daily, but your calcium requirements may differ due to your FHH — discuss with your doctor. (2) your supplements are not providing you with trace minerals — and many are essential for healthy bones. 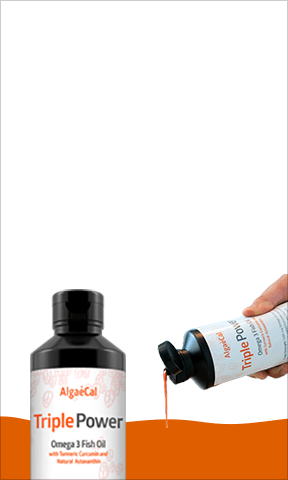 This is one of the key reasons why AlgaeCal Plus is so effective — it delivers not just 4 kinds of plant-derived calcium and the other key bone health nutrients (magnesium–half as much magnesium as calcium, which meets the balance requirement, boron, K2, D3, vitamin C) but also 70+ trace minerals that are naturally present in algus calcaerius, the marine algae that serves as the foundational ingredient in AlgaeCal Plus supplements. Conventionally grown fruits and vegetables no longer contain anywhere near the level of trace minerals found in plant foods as little as 50 years ago. 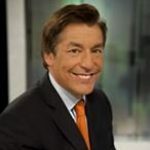 See Your Bones discussion of this problem — numerous references to the peer-reviewed medical literature are provided that confirm it. Having a daily salad is a great idea! However, iceberg lettuce is by far the least nutritious of all lettuces and all leafy greens — it is providing you with nothing but a bit of fiber. Please consider switching to romaine lettuce, spinach, Swiss chard or kale, all are significantly more nutrient dense greens than iceberg lettuce. If you have FHH, then adequate K2 (MK-7) is absolutely essential for you. Have your doctor order an unOC test for you to help determine your K2 needs. unOC stands for uncarboxylated osteocalcin, which is a measure of how much K2 you have available since K2 is what does the job of carboxylating osteocalcin — thus activating it, so it pulls calcium out of your bloodstream and into your bones. You can also have your unMGP checked — matrix Gla protein is also activated by K2 and prevents calcium from depositing in soft tissues, like your heart, vasculature, kidneys, breasts and brain. Typically, you don’t need to run both labs, either unOC or unMGP will give a good idea of your K2 status. You may need more K2 than the “average” person to ensure the higher levels of calcium circulating in your bloodstream due to your FHH (Familial Hypercalcemic Hypocalciuria –I am assuming it is the form in which calcium levels in the blood are higher than normal) are managed in a way that supports your the health of your bones and cardiovascular system. Get well informed and work with a physician who can truly help you regain the health of your bones! If you need a referral to a doctor capable of doing so, check out the Institute for Functional Medicine for a physician in your area who has completed the extra training and is fully credentialed in integrative functional medicine — these doctors will be able to assist you. I bought and I am reading your book. I have osteoporosis (-2.8) in my left hip. But I have a mechanical heart valve and cannot switch from it to another blood thinner medication. I take D3-1000, 400 magnesium glycinate and began drinking 2 glasses of almond milk (450 mg calcium citrate a glass) , plus a yogurt with prunes a day. I must keep my INR between 2.5 to 3.5. I eat a salad with iceberg lettuce and tons of onion, peppers, radishes a day. 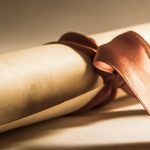 Am I doomed to take medications? Can I still manage without them. I also exercise with a trainer twice a week for strength and balance and fast walk everyday. I am 67 years old. I also have FHH DIAGNOSED by a DNA test at NIH. At first they thought I had hyperparathyroid but after all the tests, and scans they felt I should take a prescription bone medication and be followed. I took one for 5 mother and quit after severe gastritis. I was offered two other bone drugs. I refused both. Please advise. I previously read the Gouda cheese was the only cheese where you would get k2 from. In this article you did not mention Gouda. Have I been wasting my money buying Gouda or is it also a good source of k2? Yes, some websites proclaim that Gouda cheese is the richest source of vitamin K2 – unfortunately, these websites provide no references to the peer-reviewed medical literature on PubMed to back up the claim, and they do not specify which form of K2 is found in Gouda cheese (It contains MK-4, not one of the long-chain menaquinones, MK-7 – MK-13). Whether a cheese contains any vitamin K2 and what type of K2 is found depends upon which type of bacteria was used to ferment the cheese. The longer chain MKs are only produced by the Leuconostoc lactis species, and the Lactococcus lactis species. Only a few cheeses fermented by these K2-producing bacteria provide the longer-chain MKs. These include English blue cheese, Swiss Emmental and Norwegian Jarlsberg. 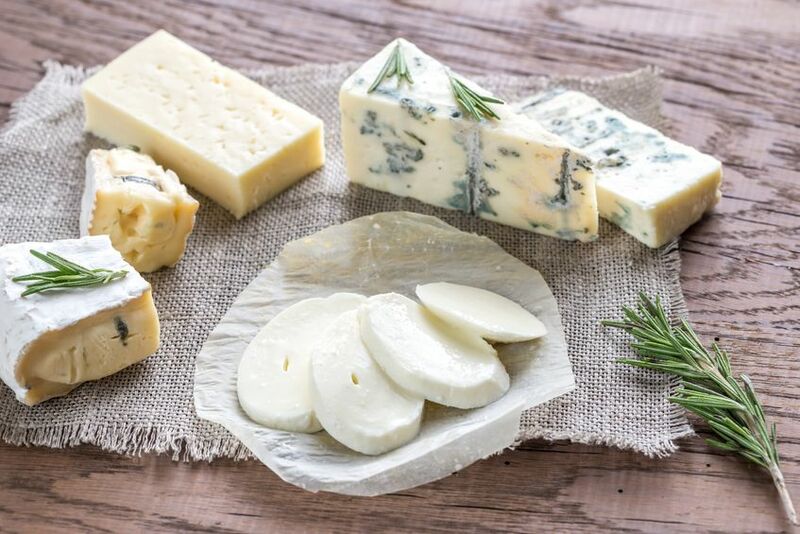 The majority of cheeses that contain vitamin K2 contain MK-4, and no K2 of any form is found in cheeses made using Streptococcus thermophilus, Lactobacillus delbrueckii, or Bifidobacterium because these species are not K2 producers. What’s the practical take away from this? Not all cheeses provide K2, and few provide the long-chain MKs. Gouda contains MK-4. Neither yogurt nor cottage cheese, while potentially good sources of other health-promoting bacteria, calcium and protein, are going to give you K2. Enjoy the cheeses listed in the table below and ask at your grocery store if they know or can find out for you which bacteria were used to produce your favorite cheeses. Also, remember that you require at least 100 micrograms of a long-chain menaquinones (MK-7 or higher) each day OR if you are relying upon MK-4, the requirement increases to 15,000 micrograms taken every 6-8 hours. Obviously, gouda cheese – or cheese of any type – is not going to provide the K2 needed for optimal bone health. If you do not eat natto, you will require a K2 supplement providing at least 100 mcg of MK-7/day. The latest research utilizing K2 in women with osteoporosis is using 360 micrograms of MK-7 per day. 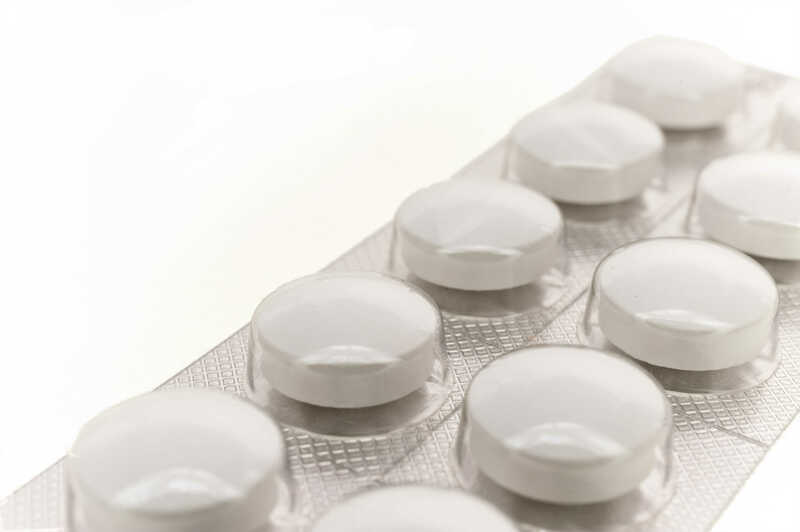 Re aspirin – yes, aspirin has blood thinning effects, but whether aspirin is a good adjunctive choice for an individual with afib is definitely a question you should discuss with your physician –just as individuals using certain anticoagulant mediations should discuss alternatives with their doctor who will have a full understanding of their unique and specific needs.